Portland DBT was founded as a two clinician company by Soonie Kim, PhD in 1998. In the years since then, it has grown by more than tenfold, becoming one of the country’s leading freestanding DBT clinics. The culture of professionalism and adherence to the model was nurtured from the earliest days. Clients have moved to Portland from as far away as Ireland to be able to access the services. The federal Substance Abuse and Mental Health Services Administration awarded PDBT the prestigious Science and Service Award in 2008. Internationally recognized DBT consultants who have visited include Alan Fruzzetti, PhD, Kelly Koerner, PhD, and Linda Dimeff, PhD. Dr. Dimeff, whose consultation with PDBT dates back over ten years was so impressed with the agency, that when Dr. Kim decided to sell it in 2013, Dr. Dimeff became an owner and clinical director. 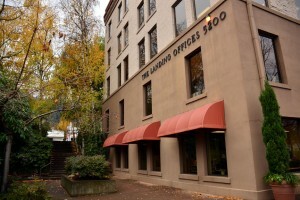 The practice, now called the Portland Dialectical Behavioral Therapy Institute, is also owned by Andrew White, PhD, a psychologist who came to work at PDBT in 2007 and Loren Wampler, the business manager who has also been with the company since 2007. A highly selective hiring processes, having staff attend intensive/comprehensive DBT trainings, maintaining all the elements of adherent DBT, and a commitment to continuing education and clinical excellence have made Portland DBTI a regional leader. Aside from clinical services, PDBTI provides consultation to multiple agencies throughout the region seeking to develop DBT programs, and is involved with research to further knowledge and better help clients.